PT Badak Natural Gas Liquefaction - PT Badak NGL is a reputable limited liability company in Indonesia that is involved in liquefied natural gas industry. Badak NGL is recognized as one of the largest liquefied natural gas (LNG) producer in Indonesia with installed total prodution capacity of 22.5 million tons of LNG and 1 millions tons of LPG per year. Headquartered in Jakarta, Badak NGL has sole production facility in Bontang East Kalimantan. PT Badak NGL is a non profit LNG company and does not undertake any commercial activities. All assest of PT Badak NGL is completely owned by the government of Indonesia, under the Ministry of Finance, and supervised by PT Pertamina (Persero), the national oil company of Indonesia. 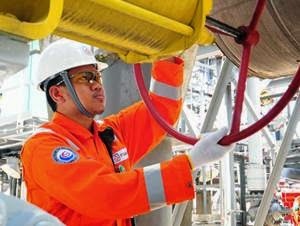 According to PT Badak NGL Annual Report 2015 as cited by JobsCDC.com, PT Pertamina (Persero) is the majority shareholder in Badak NGL with a 55 percent stake as at the end of December 2015. Other remaining shares was owned by Vico Indonesia (20 percent), Total E&P Indonesia (10 percent) and Japan Indonesia LNG Company (15 percent). Have valid national identity card (KTP). Have a good health, not color blind and drug free as evidenced by a statement from the competent institutions. Maximum age of 23 years old for D3 and maximum age of 26 years old for S1 on 1 March 2017. D3 : minimum TOEFL score of 400 or minimum TOEIC score of 390. S1 : minimum TOEFL score of 450 or minimum TOEIC score of 440. Test Location : Jakarta, Yogyakarta and Surabaya. JobsCDC.com now available on android device. Download now on Google Play here. Please be aware of recruitment fraud. The entire stage of this selection process is free of charge. PT Badak NGL - D3, S1 Fresh Graduate Management Trainee Program Badak NGL May 2017 will never ask for fees or upfront payments for any purposes during the recruitment process such as transportation and accommodation.